Folder Tree. Now the tree state can optionally be fully retained across sessions. So when reopening XYplorer you find your tree exactly (all expanded nodes, selected node, scroll position) as you left it last time. Which other file manager can do this? Thumbnails Caching. 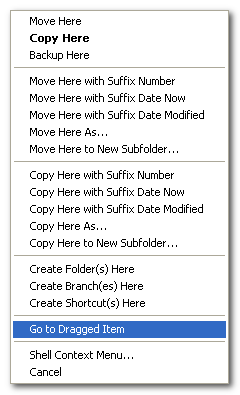 Improved cache management now auto-adjusts the cache to any renamed or moved folders. No thumbnail has to be created again anymore just because you renamed or moved a folder. Color Filters. Now you can optionally apply the color filter patterns to files only and thus avoid that folders are colored when they match a pattern. To enable this feature tick Configuration | Color Filters | Apply name patterns to files only. Image Preview. Now the frame count is displayed for animated GIFs. Media Preview. Now you can optionally play only the beginning of a sound or video file, and then stop, loop, or auto-jump to the next file (depending on the Loop settings). The number of seconds to be played can be freely defined. Folder Tree. Now can optionally expand or collapse the current tree node by a single click on the name. Saves you many clicks. To enable this behavior turn Tools | Configuration | General | Expand tree nodes on single-click ON and Tools | Customize Tree | Rename on slow double-click OFF. Statusbar. Now you can hide the Statusbar. Find the new toggle here: menu Window | Show Statusbar. Find Files. The interface is now 100 pixels wider so that you have more space for your search patterns. 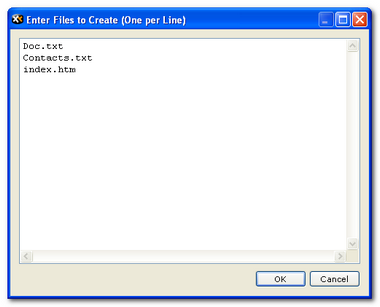 Note that Scripting works only in the Professional Edition. In the Home Edition you can achieve the same by manually editing the INI file. Note that it's not just PDFs. The same works for any other format whose thumbnails are driven by a shell extension. Drag'n'Drop Context Menu. The new command "Go to Dragged Item" allows you to go to the dragged item's containing folder and select the item, or simply open the folder if the item is a folder. A typical use-case would be when dragging items or paths from other apps into XYplorer. It's a kind of "Go to by Drag'n'drop" -- revolutionary and very useful if you ask me.